Dr. William P Fitzgibbons, MD is a Doctor primarily located in Elkhorn, NE. He has 41 years of experience. His specialties include Family Medicine. He speaks English. Dr. Fitzgibbons has received 6 awards. The overall average patient rating of Dr. William P Fitzgibbons is Great. Dr. William P Fitzgibbons has been rated by 24 patients. From those 24 patients 6 of those left a comment along with their rating. The overall rating for Dr. William P Fitzgibbons is 4.5 of 5.0 stars. Dr. Fitzgibbons is the best Family Physician in the state! I have been a patient of Dr. Fitzgibbons for many years. Dr. Fitzgibbons is very caring and respectful. He takes the time you need to discuss what your medical issues are. He has a very good staff that is very helpful. I have been going to Dr. Fitz for a dozen years. Always takes the time to completely understand my symptoms and work through the diagnosis, coming up with a plan of attack that I am comfortable with. Great doctor! he is the best ive ever known. Take a minute to learn about Dr. William P Fitzgibbons, MD - Family Medicine in Elkhorn, NE, in this video. Dr. William P Fitzgibbons is similar to the following 4 Doctors near Elkhorn, NE. 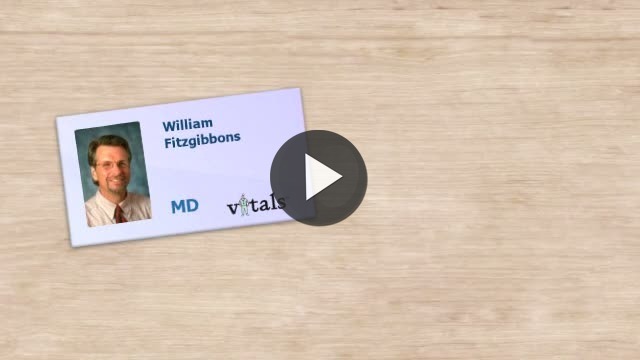 Have you had a recent visit with Dr. William P Fitzgibbons? Select a star to let us know how it was.